Originally published in 1932. This print is a later edition of 100 prints, published around the mid 1980s. Watermark with characters 山荘 (i.e., sansō, which translates into ‘‘mountain villa’’) in lower left margin. Martin, Katherine (2006). 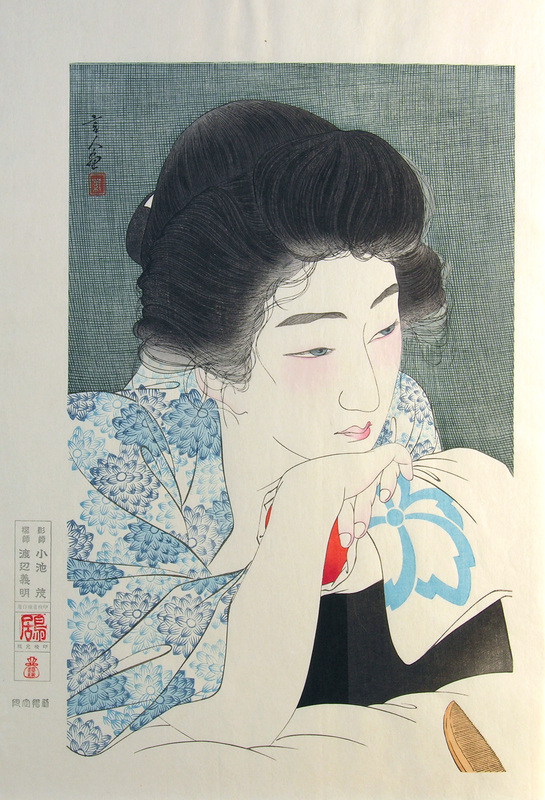 Highlights of Japanese printmaking. Part 2: Shin Hanga. New York: Scholten Japanese Art. The Toledo Museum of Art, Ed. (1936). Modern Japanese prints: wood-block prints by ten artists. Ohio: Toledo.